MONDAY, June 20, 2016 (HealthDay News) -- Close to 2 million U.S. children and teens may suffer concussions annually, say researchers who add that the prevalence of head injuries among American youth has been underestimated for years. Using data from hospitals, doctor visits and athletic trainers, the investigators estimated between 1 million and 1.9 million concussions occur annually among kids aged 18 and younger due to sports and recreation injuries. But more than half a million of these head injuries aren't seen in emergency rooms or by physicians, which is why official tallies are usually too low, they noted. "There is a lot of uncertainty in how many concussions from sports and recreation occur each year because many concussions are not reported," explained lead researcher Dr. Mersine Bryan, a pediatrician at the University of Washington and Seattle Children's Hospital. "Better surveillance for concussions due to sports and recreational activities is needed, so we can understand how kids are getting concussions and ways we can prevent concussions," Bryan added. These head injuries are often serious. According to the U.S. Centers for Disease Control and Prevention, a blow to the head resulting in concussion can stretch and damage brain cells and create chemical changes in the brain. For this study, researchers used three national databases to try to target the total number of childhood concussions. Other research has typically been limited to high school head injuries or ER visits, they noted. They found that among children diagnosed with concussion, nearly 378,000 were seen by doctors; from 115,000 to 167,000 were treated in emergency rooms; and roughly 3,000 to 5,000 were hospitalized, the researchers found. But between 500,000 and 1.2 million concussions were reported to certified athletic trainers, the researchers added. These accounted for 23 percent to 53 percent of sports- and recreation-related concussions among high school students, Bryan said. Concussions were tagged as sports-related if medical records mentioned a sport, whether the injury was from a fall, collision or another mechanism. 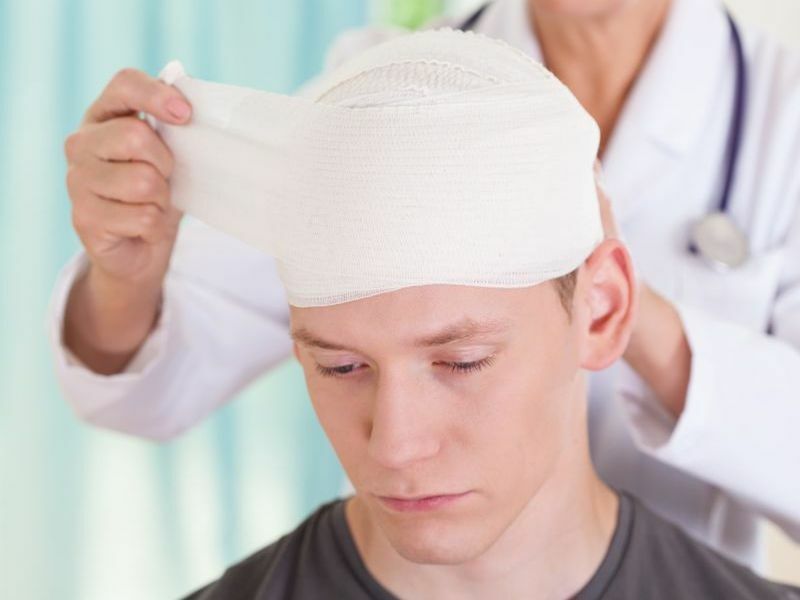 Head injuries were deemed recreation-related if they occurred in playground-type settings or during activities such as bicycling or skateboarding. One brain specialist said that even these new estimates are likely way too low. Dr. John Kuluz, director of traumatic brain injury and neurorehabilitation at Nicklaus Children's Hospital in Miami, said doctors' coding errors on medical forms can result in questionable findings. "The main problem I have with these estimates is that they are based on diagnostic codes," he said. "Many doctors do not use the code for concussion. I see it time and again -- they use a code like closed head injury, because it's easier to click on." If researchers only look for the concussion code, they'll miss a lot, Kuluz said. A study published in May in the journal JAMA Pediatrics also found that many childhood concussions go unreported. In that report, four out of five children were diagnosed at a primary care practice, not the emergency department. Responding to that report, Dr. Debra Houry, a CDC injury specialist, said more must be done to track pediatric concussions treated outside the ER. "Better estimates of the number, causes and outcomes of concussion will allow us to more effectively prevent and treat them, which is a priority area for CDC's Injury Center," Houry said. Kuluz said that parents should suspect a concussion after a head injury "when their child is acting different in any way, when they are dazed or confused or dizzy -- even if it's short-lived." If you do suspect a concussion, take your child to an emergency room, he said. But not every child with a bump on the head has a concussion, Kuluz said. "It's okay to wait a day to see if the symptoms disappear. It's not always necessary to rush your child to the emergency room," he added. "However, if symptoms persist or worsen, or if there is a change in their consciousness, their thinking or the way they act or are sleepy or vomiting, they should seek immediate attention," Kuluz said. Complete rest is essential after a concussion to help the brain heal, according to the CDC. The report was published online June 20 in the journal Pediatrics.